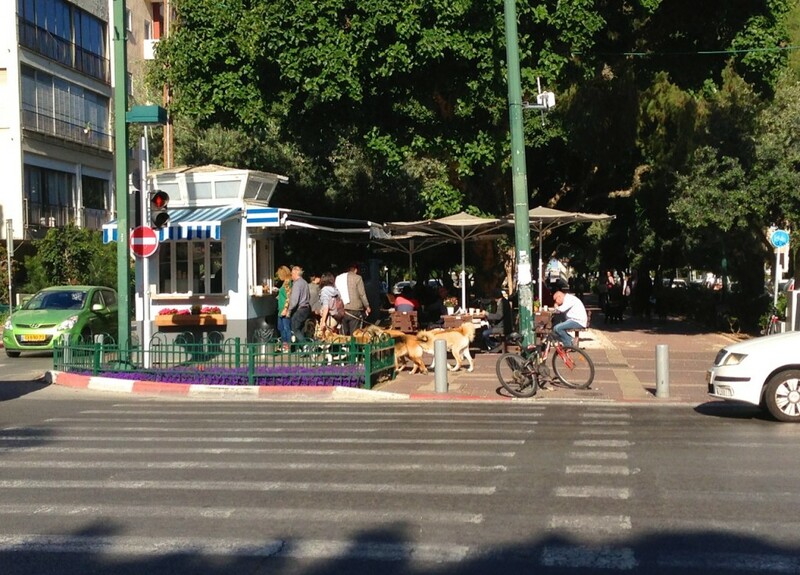 I visited Tel Aviv Yafo as part of my work reviewing the CIVITAS 2move2 project in late March. I’d never been to Israel before and it was very interesting and nice. The weather was fantastic, sunny and about 20 degrees for our whole visit. The goal of CIVITAS is for cities to demonstrate a set of innovative sustainable transportation measures and then evaluate how well they worked so that other cities can learn from their experience. Groups of cities work together to implement similar measures and learn from each other. 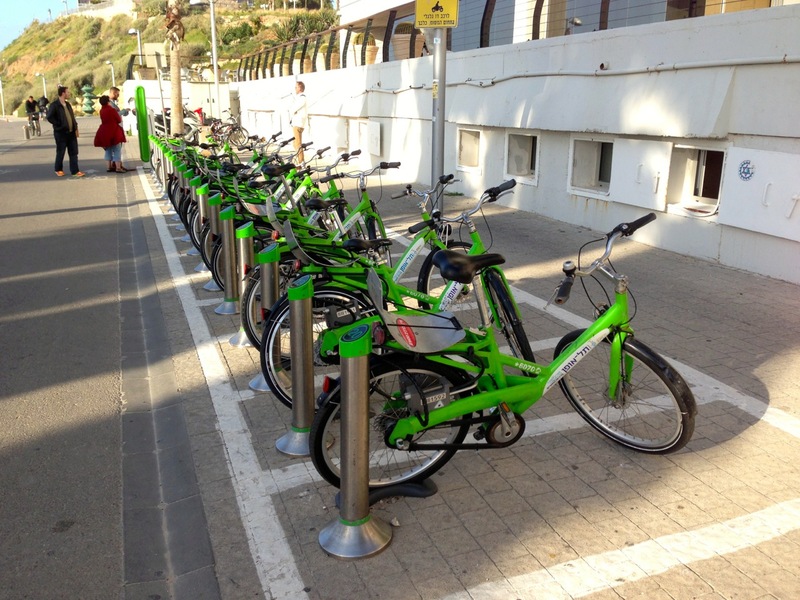 In Tel Aviv we saw measures for electro mobility, improved traffic control, bus priority, green corridors and bike systems. Our hosts from the city took us on tours to see these innovative ideas. One of my favourite projects is the green corridors. 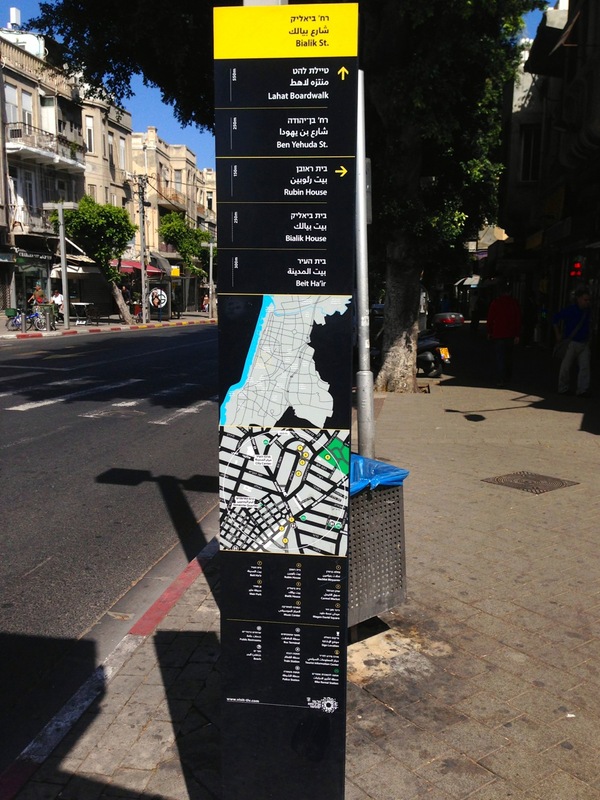 I learned that the noted city planner Patrick Geddes had developed the original plan for Tel Aviv and had included green corridors around the city. We walked and rode bikes on several of these corridors and they are really wonderful. They reminded me of the parkways in my hometown of Buffalo NY planned by Frederick Law Olmsted. There are one-way streets (one parking lane and one travel lane) on both sides of a wide landscaped median. The median contains a bike path, pedestrian path, play areas, and cafes at the main cross streets (see photo). These corridors are very pleasant and well used, they would be a great model for modern cities! We also had a very nice tour of Tel Aviv’s White City. This is the part of Tel Aviv developed in the early 1920s (planned by Geddes). It contains over 2,000 Bauhaus (International Style) buildings. Many of these buildings need renovation, and the city is working on making this happen by working with owners to develop economically possible renovation plans. This portion of the city was recently designated a world cultural site by UNESCO. Of course, the beach is also nice! My photos of Tel Aviv on Flickr. My photos of Jerusalem on Flickr – it’s only about an hour away by bus!